Post Card From New York! A week in New York and it’s easy to see why it’s called, The City That Never Sleeps. 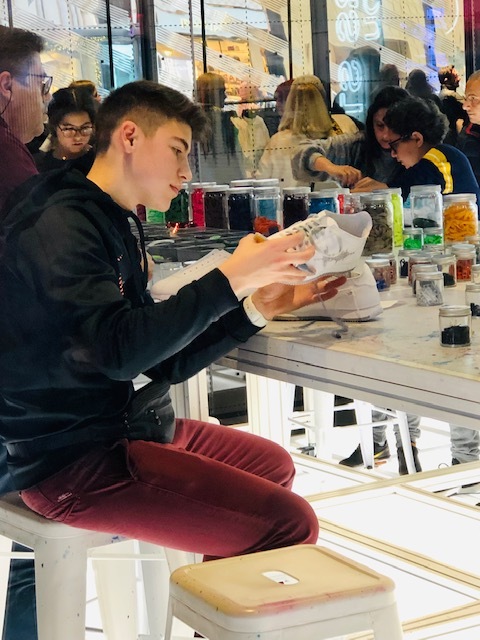 From high fashion to street art, fine dining to the street carts of the Halal Guys and their middle eastern cuisine, New York is a place of contrasts and inspiration. Here’s a little of what I saw during the festive season. It’s early morning and I’m out and about in Soho. The criss crossing streets are full of fashion, art galleries and cafes. Perfect! Nothing much opens until 11am so it’s great to walk around while the streets are still quiet. Ice skating in front of the Rockefeller Centre. 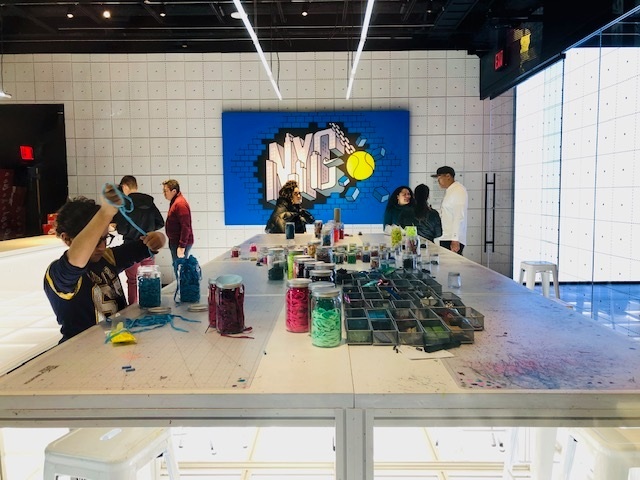 The Nike store on 5th Avenue where you can customise your own sneakers. This young mans theme? Silver and white. Overlooking Central Park and the famous Dakota Apartment Building, left of the towers. Christmas decorations are big, big, big in NYC. 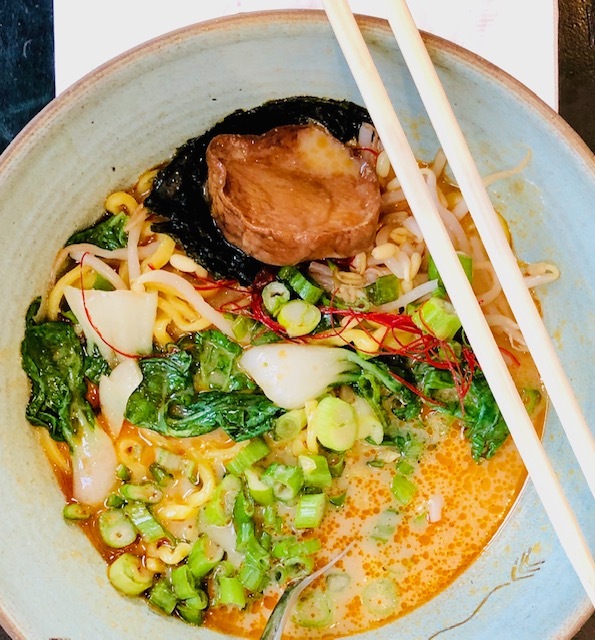 Japanese ramen broth in Lower Manhattan. The perfect lunch when it’s 2 degrees outside. There she is in the distance - taken from the Brooklyn Bridge. If I could have bought anything while in New York, it would have been this hologram of David Bowie at the WhiteWall Store, Soho. Oh, and this exquisite Elie Tahari beaded dress. This would be my broadway recommendation. In one word - outstanding. 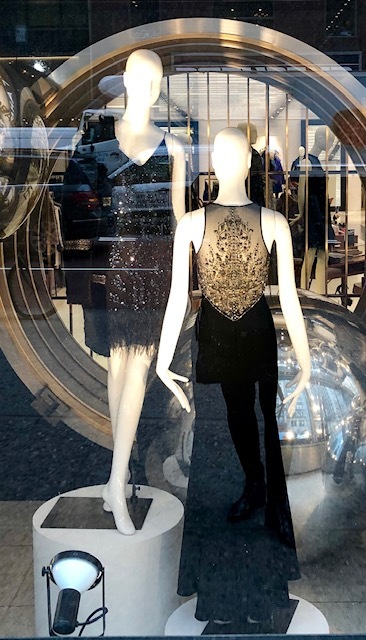 The detailed window displays at Bergdorf Goodman department store were amazing. New York is a great city to walk around. You never know what you’ll see. Happy new year everyone. Here’s to everything you want to do in 2019 and may your dreams come true.